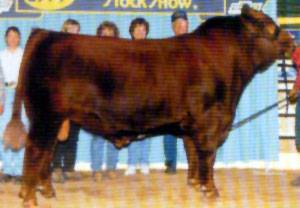 Freedom has been the #1 bull for registrations in the Gelbvieh breed. He adds excellent muscle shape and dimension to his calves, yet also transmits superb style and profile. Freedom not only produces great phenotype, but they flat perform.